So you want to hit better golf shots, but do you work more on your setup or your swing? You may be wondering how you can work on improving your setup. Well, I’m going to give you a very simple way you can do this everyday. And I firmly believe if you spend 5 minutes every day doing what I’m saying then your ball striking will improve. Most golfers have their own grip and posture that suits them. And I don’t think they are critical to the success of a golf shot. But alignment and ball position do make a huge difference in my opinion. So I’m going to give you a great way you can practice these two things over and over again to make them a habit. To do this you need to find something on the ground that has straight lines. 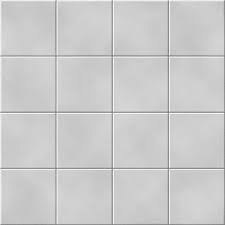 A simple example is tiles. 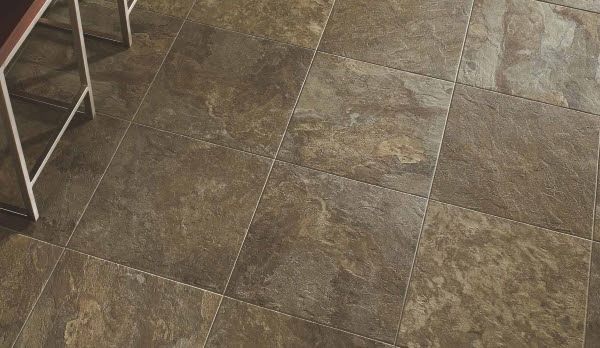 If you have tiles in your home you can use them. Once you have something like this then you simply need to place the golf ball on one line and setup to it and use the lines as a reference for your alignment. 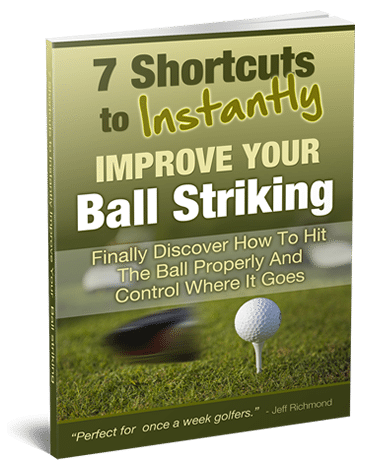 You want your body to be pretty much aligned parallel with the line your ball is on. When you setup like this it’s very easy to get your alignment good and for your ball position to be in a good place. What is a good place for ball position? There is no one place that is best. For some golfers they find that they get the best results with the ball just inside the left heel. Jack Nicklaus did this and that position favors more of a fade. Then there’s other golfers who favor the ball positioned further back in the stance. And doing that promotes more of a draw. 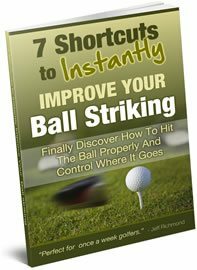 So if you really want to improve your ball striking I recommend you spend at least 5 minutes every day practicing your setup, making sure you get your alignment right and your ball positioned where you want it. I also recommend when you do this practice at home that you place an intermediate target just in front of your ball by about one to two feet. This way it will help you to transfer this practice to the golf course. And you may be thinking that’s all very well, but you can’t take lines out with you to the golf course. When you setup to a golf ball on the golf course you can form a mental picture of lines as you’re setting up. You could even see your ball sitting on railway tracks. So you line up with the ball on one track and your feet on the other. Your mind is super powerful, so use it to help you hit better golf shots.